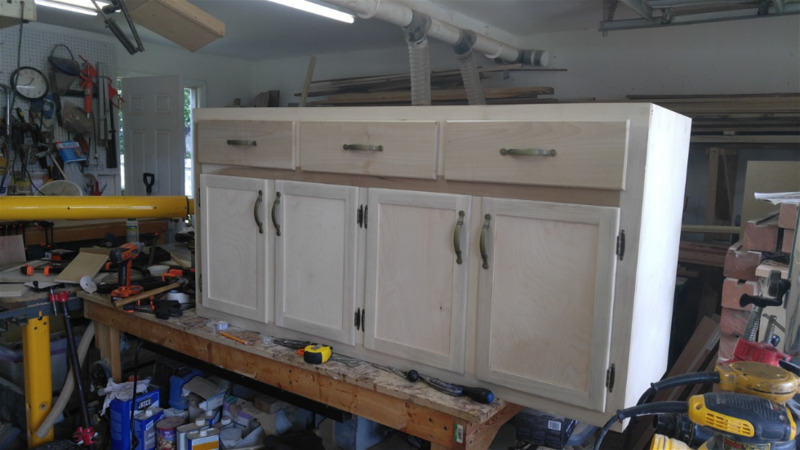 Four door Base Cabinet or kitchen island. Prices vary on size. 72" X 24" $1200 with 1 3/4" Maple butcher block top.Stained or painted.